The Brewers have signed infielder Donnie Murphy to a minor-league contract with an invitation to Major League camp in Spring Training. Murphy, who turns 30 in March, batted .216/.281/.379 with 3 HR and 12 RBI in 52 games with the Miami Marlins in 2012. He was a member of their organization over the past three seasons. Murphy made his big league debut in 2004 as a member of the Kansas City Royals. Murphy has played in the Majors as a member of the Royals (’04-’05), Oakland Athletics (’07-’08) and Marlins (’10-’12). 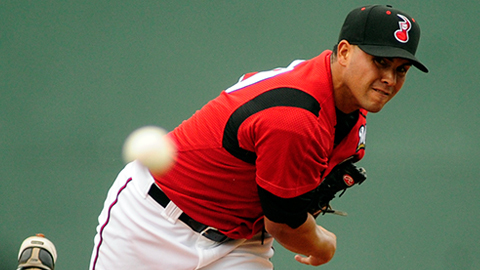 He also spent the entirely of 2009 in the Baltimore Orioles organization at the Triple-A level. He’s a utility infielder by trade, rostered for versatility and his glove, certainly never displaying much of a bat during his career. His career minor league slash line is .279/.347/.461 after all, so he’s never been expected to hit a whole lot. Throughout his MLB service time, Murphy has made 70 appearances at shortstop, 66 at third base, 63 at second base and even one start in left field (for Oakland in 2008). He made 17 starts at third base, eight at second base and one at shortstop in 2012 for the Marlins. When reached for comment by Tom Haudricourt of the Milwaukee Journal/Sentinel, Brewers assistant general manager Gord Ash said that Murphy was the first of a group of utility infielders under review who accepted Milwaukee’s offer. If nothing else, this signing is of a baseball veteran to challenge for the backup shortstop role on the 25-man roster. It’s a spot that needs to be filled on every team so why not import some competition for Jeff Bianchi. 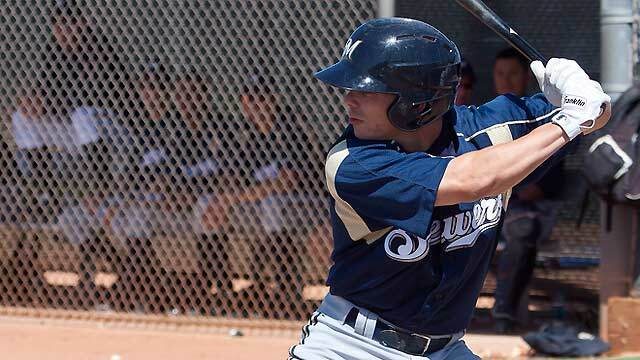 The Brewers now have seven official non-roster invitees to Major League camp in Spring Training. * Hector Gomez was injured while playing winter ball in the Dominican Republic. He is expected to miss a significant portion of the 2013 regular season. The Winter Meetings came and went with the Milwaukee Brewers not exactly making headlines. No agreements were made during the week though the meetings were hardly without action by Doug Melvin, Gord Ash, and their contingent. It was reported last week Wednesday that Doug Melvin had met with Greg Genske, representative of several free agents this off-season. While Melvin confirmed the meeting, he wouldn’t state the nature of the discussions. I learned last night that the Brewers have begun to “kick the tires”, to use the phrase, on one of Genske’s charges. By that I mean that they’ve looked into the player a bit more closely as of late. That player is free agent left-handed relief pitcher J.P. Howell. Howell, 29, threw 50.1 IP in 2012, posting a 3.04 ERA while limiting left-handed hitters to a .200 AVG (17-for-85). He has made 101 appearances over the past two years as a member of the Tampa Bay Rays. No offer has been made. It didn’t even sound like any terms had been discussed. The Brewers aren’t the only team interested in Howell. It was reported some time in the last few days (the specific tweeter escapes me) that Howell was being looked at by the Washington Nationals since they had lost Sean Burnett to the Los Angeles Angels of Anaheim, California, PST. The Nationals “involvement” on Howell was confirmed to me last night as well. Also of note, after the talk at the Winter Meetings about how the Brewers “would listen” on offers for Corey Hart, I was told that there aren’t any trade talks about any Brewer past the early stages. That does not mean that there are any in the early stages, just that none are advanced past that point if any are underway at all. The Brewers announced this morning that they have added five players to their 40-man roster ahead of tonight’s midnight EST deadline for protecting players from the upcoming Rule V Draft. Brewers assistant general manager Gord Ash was contacted for some quotes* about the players added today and said the following about how they arrived at these five names. Bucci is 21 years old and coming off of a very good 2012 season split between the Low- and High-A levels of the Brewers farm system. He posted combined numbers of a 1.90 ERA, 1.102 WHIP, 9.3 K/9 in 42.2 innings over 10 starts. He missed time to begin the season coming off of an injury. His season debut was July 18th with the Wisconsin Timber Rattlers. Bucci finished his year with a stint in the Arizona Fall League. Not only are the Brewers high on him, but after missing the amount of time he did, it was a way to help him get more innings before shutting it back down for the winter. Burgos, 25, rocketed through the system in 2012. He began the year with the High-A Brevard County Manatees, made a stop in Double-A with the Huntsville Stars, and finished as a Nashville Sound in Triple-A. There was even talk that he was being kept at the ready in late September should the Brewers have needed an extra arm later in their season. Quite the year. That is evidenced in his numbers which ended up at a 1.95 ERA (2.91 in AAA), 1.035 WHIP (only 128 hits), over 171.0 innings pitched in 28 games (27 starts). 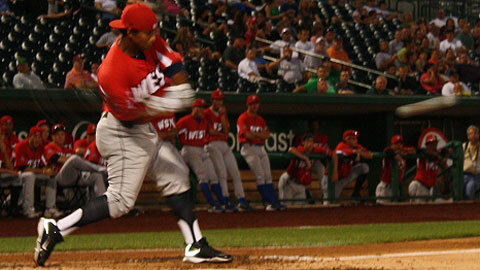 Davis is a 6’0″, 195 lb outfielder who both bats and throws right-handed, turns 25 next month. Davis began his season with Huntsville before an injury and subsequent rehab assignment cost him some time. He came back to Hunstville in early July and was promoted to Triple-A on July 30th where he played out the remainder of the season. Davis played a total of 82 games in the regular season posting a combined line of .350/.451/.604 which includes a .310/.414/.522 line at Triple-A in 32 games. Davis was also assigned to the Arizona Fall League in order to get more at-bats but he didn’t fare as well in the desert the second time around. Still, he does appear to have a bat which could play at the MLB level one day. Gennett’s addition to the 40-man roster was probably the easiest to guess (outside of Burgos because Melvin told us so in an interview awhile ago) because despite his small stature (5’9″, 164 lbs) his profile has been an elevated one. 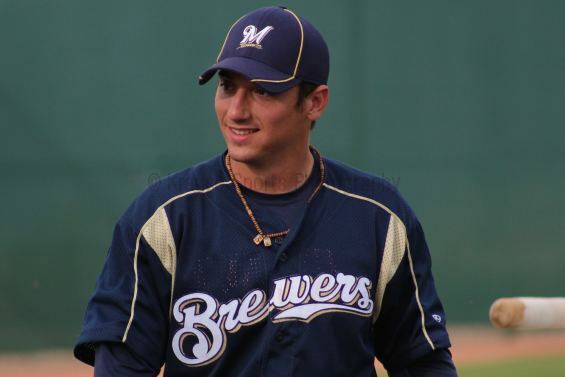 All he’s done is hit since signing with the Brewers after being drafted in the 16th round of the 2009 draft. Over .300 at both Low-A and High-A, Gennett continued his progression with a full season in Double-A which saw his average dip to .293 but he basically maintained his OBP including an increase to his walk rate. He is still learning second base defensively after being drafted as a shortstop, but those issues are getting farther away in his rear view with each inning. His errors decreased, his fielding percentage has gone up every season (I know…I know), and his Range Factor per Game has also increased every season. The final player who was added today (alphabetically, not necessarily reflective of ability) was tapped due to his incredible “season” in the Arizona Fall League. Josh Prince was just converting from infield to outfield defensively and after a pedestrian season at Double-A Huntsville (.251/.346/.360) the Brewers probably thought that they might be able to avoid protecting him for one more year. Then when Mat Gamel’s exemption request to play in the AFL was denied, the Brewers sent Prince instead and he absolutely rose to the occasion. Now, AFL offensive stats are often inflated but Prince even rose to the top of the inflation. He hit a team-best .404 which was good for second-highest overall in league. His OBP was .491 so he was still drawing some walks (a team-best 15, 5th-best in the AFL) and his slugging finished at .573 which gave him an OPS over 1.000 at 1.064. With these additions, the Brewers 40-man roster currently sits at 39. *Appreciation and credit to Tom Haudricourt at the Milwaukee Journal/Sentinel for the quotes about the players from Brewers assistant general manger Gord Ash. Price Reduction! Come Partake in a Special Miller Park Event! Turns out that your patience has paid off, Brewer Nation! Prices for the special event with Assistant GM Gord Ash, SI.com’s Will Carroll, WTMJ’s Trenni Kusnierek and WSSP’s Doug Russell have been reduced! Here is the link! Click to take advantage of a tremendous offer! Come Meet Us (and More Important/Interesting People) at a Special Miller Park Event! I teased this a bit on Twitter (http://twitter.com/BrewerNation) the other day, but the official announcement can now be made! Have you been trying to pick out a date to attend a Brewers game at Miller Park this spring but haven’t been able to decide? Well allow me to make that decision MUCH easier for you! On Saturday, May 14, 2011 there will be a special event happening at Miller Park prior to the game against the Pittsburgh Pirates. You’ll have the opportunity to meet Brewers Assistant General Manager Gord Ash, WTMJ radio personality and Milwaukee’s favorite baseball daughter Trenni Kusnierek, and SI.com’s Injury Expert Will Carroll who authors the Under The Knife column. Also, some of the top Milwaukee Brewers bloggers will be joining in the fun and festivities! South Side Rob and I will be there along with members of a handful of other Brewers blog sites! All of the details can be found by following the link below but it should be an amazing time at a very special event that doesn’t exactly happen at Miller Park too often. Credit needs to be be given where due, so let me point out that Will Carroll was the driving force behind getting this all set up. He mentioned on Twitter that he was looking to do a bit of summer baseball touring and asked if any bloggers of individual teams would like to assist him. I was the only person from Milwaukee to reach out and we began to set up details for the event. Will got Gord to agree to come and speak and then reached out to Trenni as well. I was to be the main motivator behind getting people to come. I know that the Brewer Nation is strong and will fill this event up in no time! That is to point out that space is limited for this unique opportunity. So enough with the reading already! Get over to the website and purchase your opportunity right now! The best part is that you can get into this event whether you have tickets for the game that afternoon yet or not! Just make sure you select the appropriate option when ordering your tickets. So come be a part of the fun! Again, space is limited so secure your opportunity right away! !